Cassia is another of the art campers who is participating in this Mail Art exhibit. 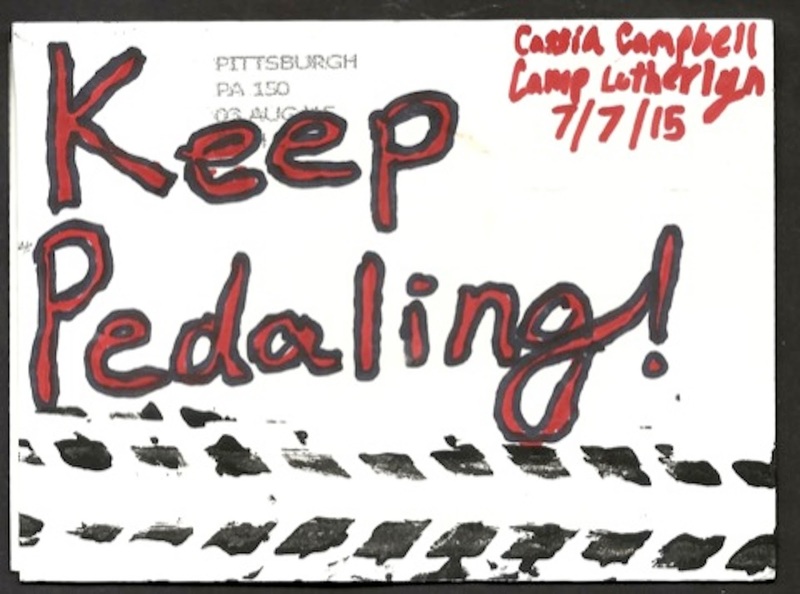 I think it's terrific to have young people learn about Mail Art. I hope they continue to make and send art into the world. This is quite an encouraging card, and I'm sure the cyclists will do just that! My daughter made this card! She just found your post online today! She loved the project, and is thrilled that you posted hers! Thank you!